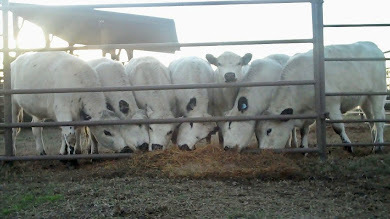 UPDATE March 27, 2012: Colonel Beau sold last Fall 2011. 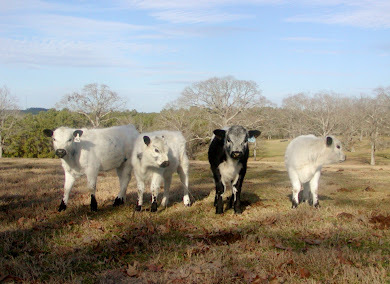 If you are looking for British White females, please see the current offering of J.West Cattle Company above. 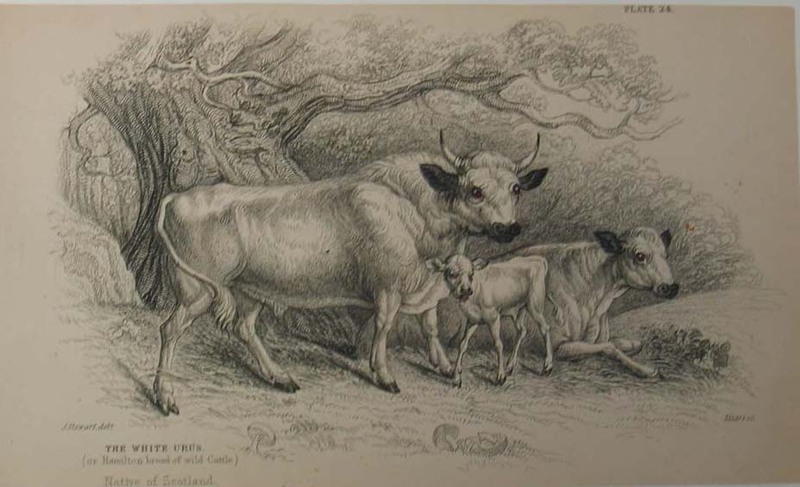 This offering includes the dam of Colonel Beau, J.West's Maude Rae, who is a very well made female in her prime, and she comes from a very fertile and milky line of British White females and would be an asset to any herd of cattle, and sells with a spring born Target sired bull calf at her side. 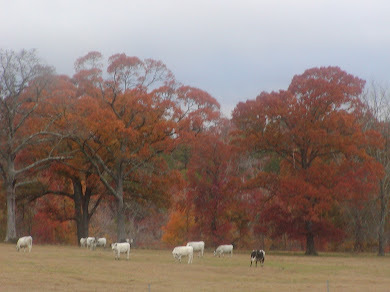 Target is a son of El Presidente, brother to Colonel Beau featured here in this blog. 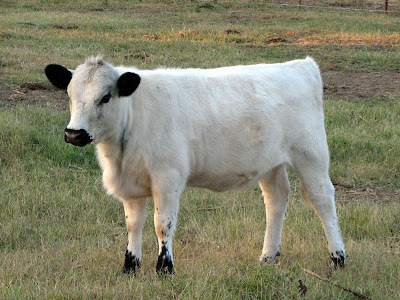 UPDATE August 29, 2011: This good-looking British White bull is for sale. 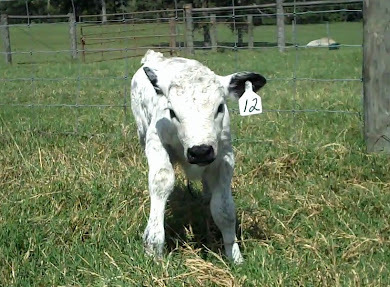 Weight is 1920 lbs on a hip height of 53.5 inches, making him a very meaty Frame Score 3.5 bull. Contact Al or Dalene Ross. 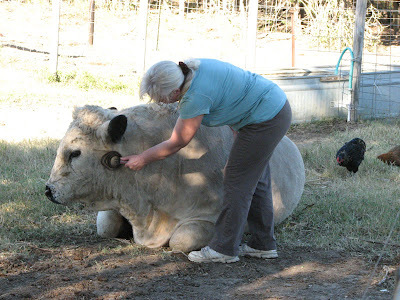 Here is a nice photo of J.West's Colonel Beau up on his feet, rather than languishing at rest under the care of Darlene. Colonel is clearly a very nice son of El Presidente, as well as reflecting his maternal lineage from granddam CRAE 215G, an excellent older dam who both ultrasounded and linear measured many years ago by Gerald Fry as an excellent female. 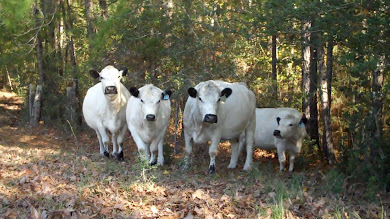 Keep your eye out for Spring 2011 calves sired by Colonel, his daughters ought to be outstanding fertile and milky heifers that will be an asset to your British White herd. This next photo is of Melody, a very well made heifer at 7 months old, sired by J.West's Tom Sawyer, and her dam is J.West's Colleen, coming from my original old CRae 215G cow (Colleen's granddam) that birthed so many fine calves. This picture of Melody leaves me just green with envy, but also with a really good feeling of having placed Colleen and this heifer with Al and Dalene Ross, who do adore their British White cattle, and have made them so much a part of their every day life. 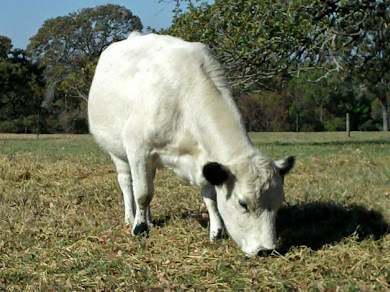 Melody seems very aptly named, she looks to be a very nice melody of conformation and British White classic beauty, and clearly will be a deep-bodied, clean lined cow that most anyone would be proud to have at pasture. Also, note the last picture of the week I posted some time ago to your right. 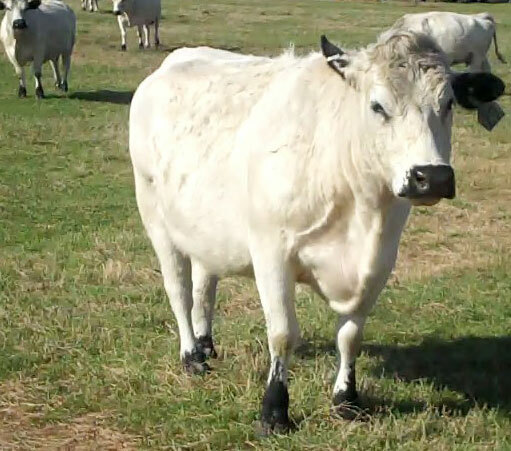 That photo is Colonel Beau as well, fat and happy, easy-going and easy-keeping -- just what you should expect from British White Cattle.